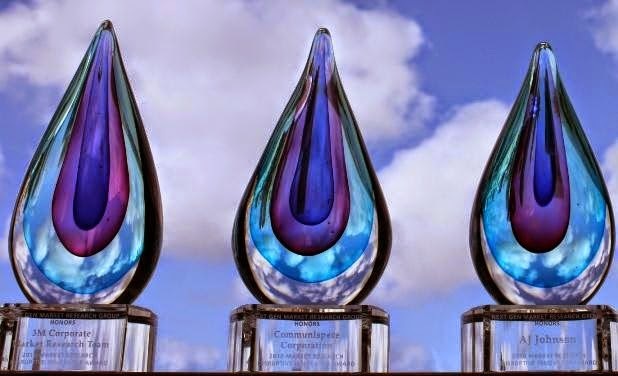 TMRE 2014 is a proud host of two of the market research industry’s most prestigious awards: The EXPLOR Award and NGMR Disruptive Innovator Award, which recognize outstanding and innovative work in the market research industry today. I recently sat down with Tom Anderson, Managing Partner, Anderson Analytics – OdinText and Chuck Miller, President, Digital Marketing & Measurement, LLC (DM2), discuss the awards and why TMRE keeps them coming back. So, where did these prestigious awards begin? Today, with more than 20,000 members, NGMR remains a resource for these types of discussions, and NGMR Disruptive Innovator Award celebrates not just Innovation for the sake of Innovation, but Innovation that truly is disruptive. The award recognizes companies and individuals that have demonstrated outstanding leadership as change agents and made significant contributions to harnessing disruptive innovation to drive research industry progress. This year's winners will receive a complimentary pass to TMRE and the opportunity to present the winning case study during this session. “This is an award by researchers for researchers, and it’s not just about innovation for the sake of innovation, it’s about sound innovation that makes sense for our field,” said Anderson. For the past 15 years, EXPLOR has been a showcase for research innovation, highlighting some of the best research in our industry. According to Miller, over the years the winner has been an approach that was ahead of its time, but they would eventually embrace – such as insights gathered through a mobile diary. Other times it highlighted groundbreaking work that was meaningful to the client but that hasn’t become mainstream – such as assessing consumer behaviors using GPS enabled shopping carts. “In all cases, EXPLOR gives us exposure to great research creativity, and generally a glimpse of things to come,” he explained. Today, The EXPLOR award recognizes breakthrough innovation in technology as applied to market research. This award is a case study competition, so it highlights a real-world research problem and solution. According to Miller, case studies must be formed around a client-driven business problem, then demonstrate how the client and supplier team applied new techniques to deliver insight. So, EXPLOR is less about using a cool new tool, and more about how innovation solved an important problem for a client organization. This year's winner will receive a complimentary pass to TMRE and the opportunity to present the winning case study during this session. This year, the EXPLOR Award is brought to you by DM2. Anderson and Miller value sound innovation and want to reward it, but they also realize that the word “Disruptive Innovation” can mean a lot of different things, and they can’t really tell how disruptive something will be until it’s been around for a while. They favor individuals and companies that have demonstrated that they can be useful and widely adopted, but also like to see brand new software and methods and try to give them the benefit of the doubt while scrutinizing them under the methodological lens. For this year, nominations are open and Anderson and Miller have already received a couple of interesting submissions. Unfortunately, most submissions come in during the final week, which does not give them any time to request additional information from an applicant if needed. If you are considering applying, you are encouraged to apply early. Additionally, the committee members each evaluate and rate several submissions, so they also encourage visuals or videos etc. if available. Each year Anderson participates in TMRE because to him, TMRE is the largest marketing research event with the biggest key notes and venue, which has continued to be the logical home for The Nobel Prize of Marketing Research. In addition, the post award break out session with the winners, which this year will be moderated by a known industry disruptor and entrepreneur, Kristin Luck, President & CMO at Decipher and founder of WIRe (Women in Research). According to Miller, TMRE is a great forum for the EXPLOR Awards because it brings together the highest caliber client and provider-side researchers.